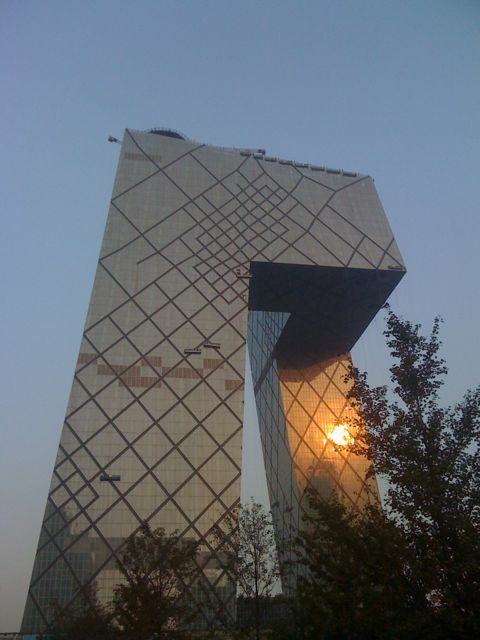 My camera doesn’t quite do it justice, but today was the first time I noticed how stunning the CCTV building is. It’s pretty! So that’s a bridge that connects the two sides? I assume you work there. I’ve heard people name it as “shorts” which is not accepted by CCTV. 🙂 Good to hear from you, çˆ±æ¯“æ¯›! who yoou are a disservice by attempting to source your own finance – well – you happen to be special. way to have a house in the last phase of the life.